Love-marriage, a photo by eatzycath on Flickr. 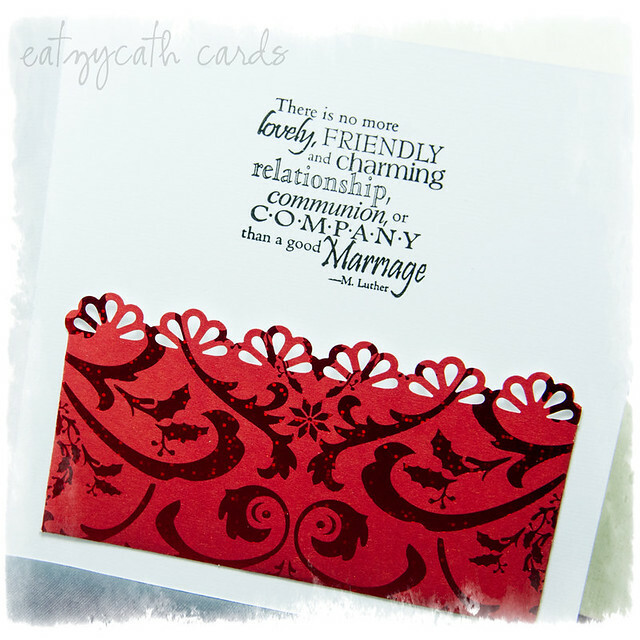 Love how you used the sketch for a wedding card! So pretty! Lovely wedding card! Love how you've used red! 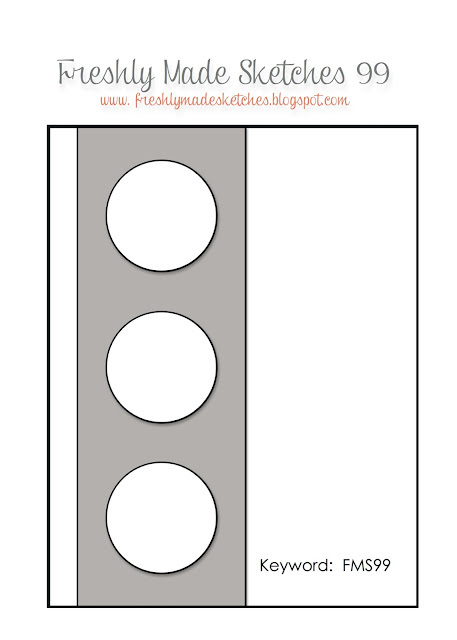 Great border! Thanks for joining us this week at Freshly Made Sketches! WOW! 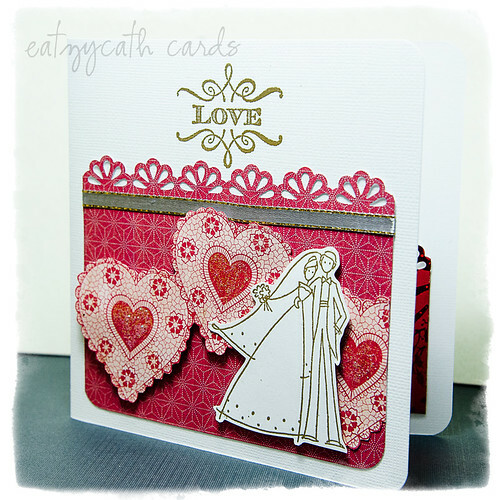 Catherine, your card is so beautiful and I love that border so elegant looking on your card! !